Uh-oh, it's the Green Goblin! A vicious, shimmering green supervillain, he thinks he's utterly unbeatable. 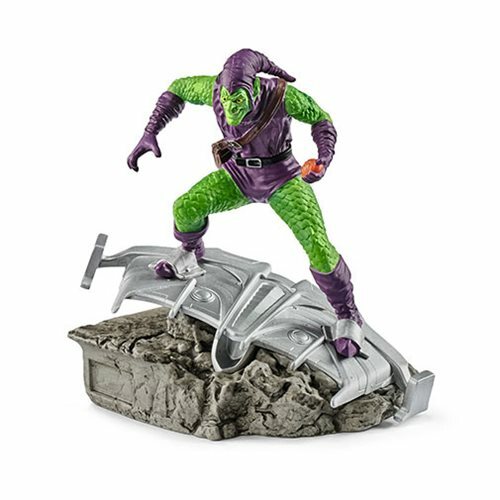 As this amazing 7 3/10-inch tall x 5 1/2-inch wide x 3 3/1-inch long Marvel Classic Green Goblin Diorama Collectible Figure #09 showing him atop his familiar bat-shaped glider, he just might be right! Window-box packaging. 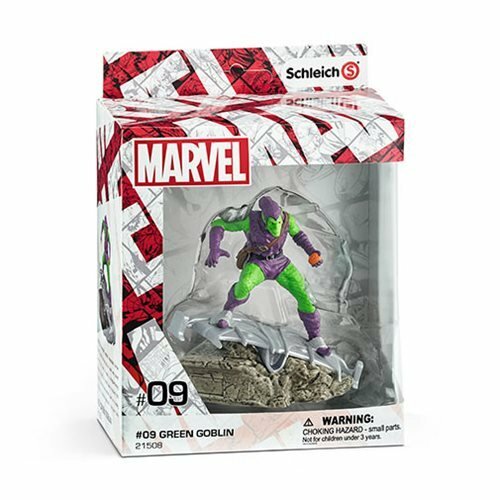 The Green Goblin is an incredibly powerful super-scoundrel. He's devious and evil, and he possesses superhuman strength, speed, and endurance. The verdant villain thinks he's completely unbeatable, but Spiderman has other ideas!